Thank you to everyone who participated and I truly wish I could send a chair to each and every one of you. 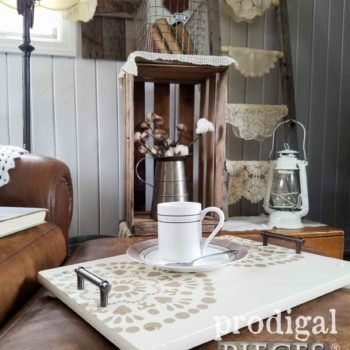 Don’t forget you can still get 10% off your purchase by using the coupon code : PRODIGAL. 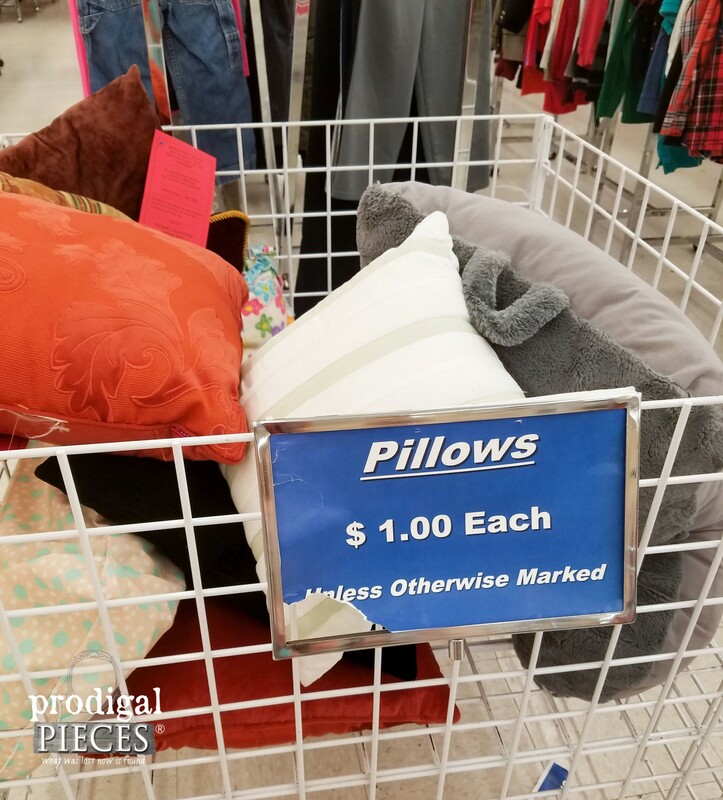 Back to the pillow project…head to the thrift store and grab a few pillows to get this party started. 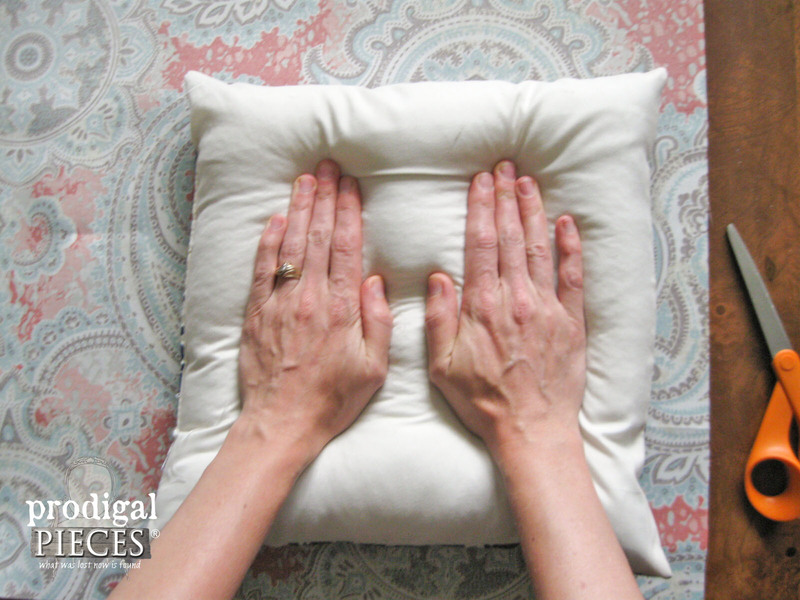 You could even use your own worn out pillows as well. 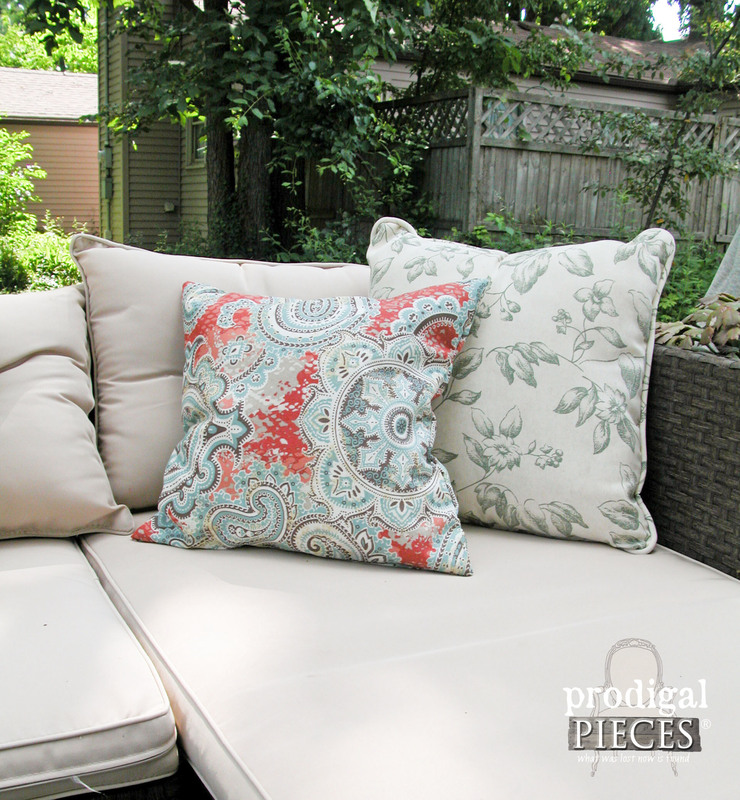 Here are the three pillows I chose for my patio update. To get started, first launder your pillows. 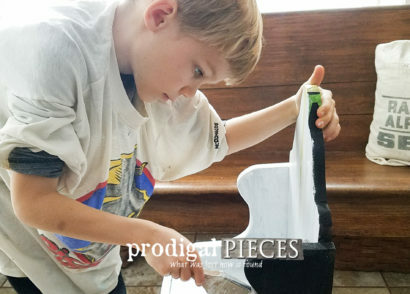 Once clean and dry, you can begin this project one of two ways. 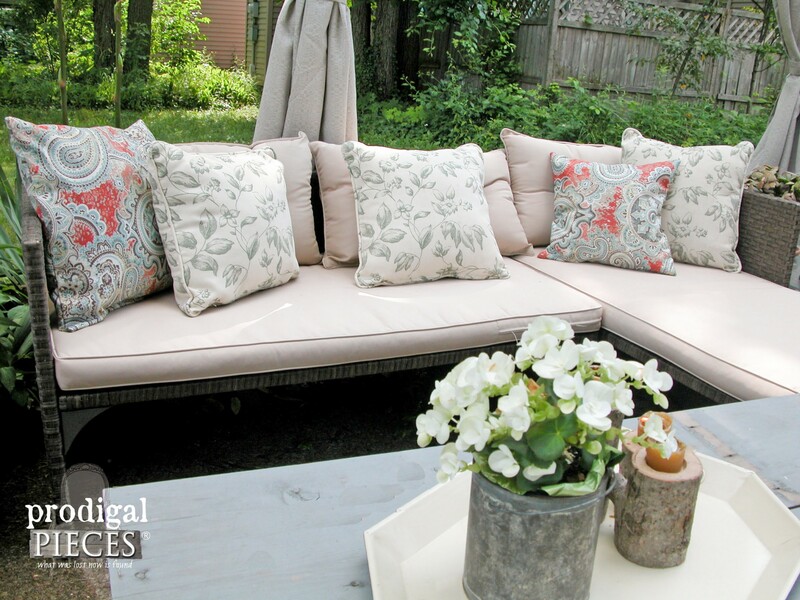 I choose to leave the pillows as they are with their original fabric intact, however you may want to remove the outer cover it would show throw your new fabric. I like to leave the covers on for stability in the pillow and easy use during our project. If you choose to remove the outer cover, wait until you have your new pillow case sewn. 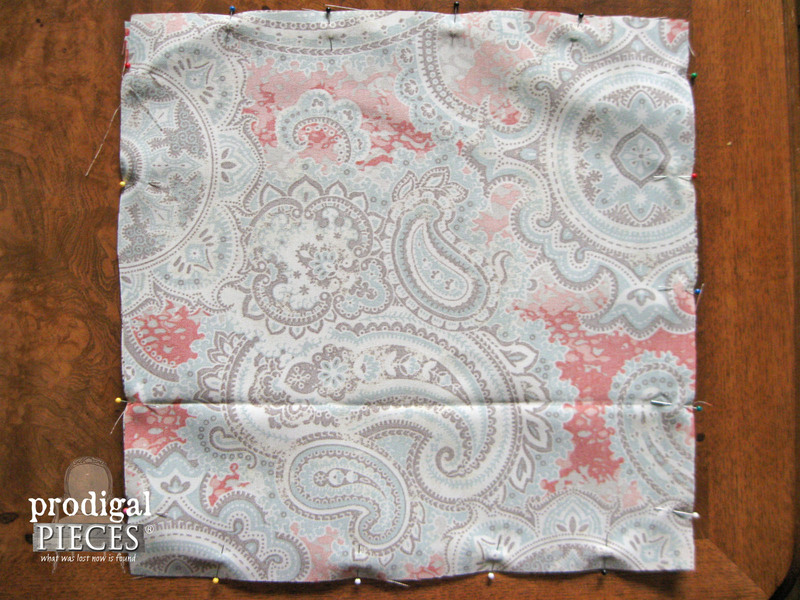 Lay your fabric right-side down and place your pillow on the fabric so that when you squish it down you have about an inch perimeter showing. We will be using a half-inch seam allowance. 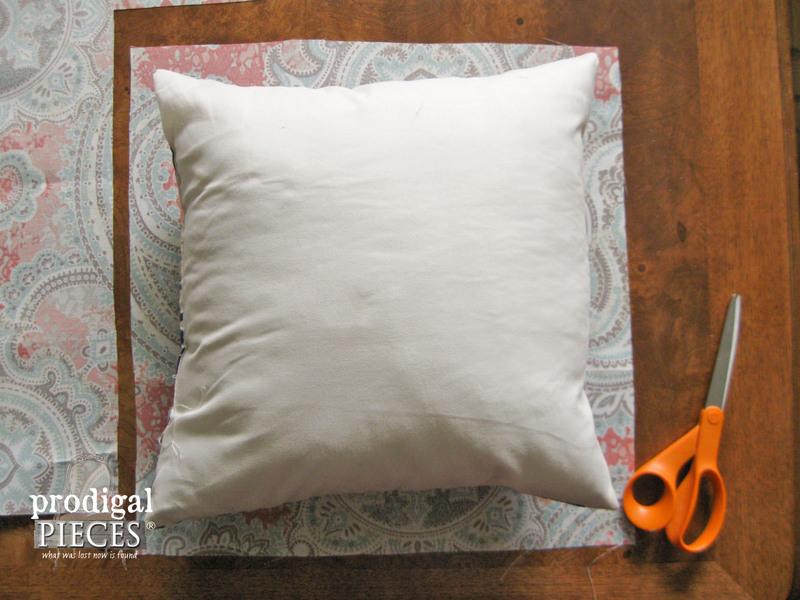 Cut out your pillow shape, and then use that same square to create a second square. Lay your two square panels so that the right-sides are facing each other. 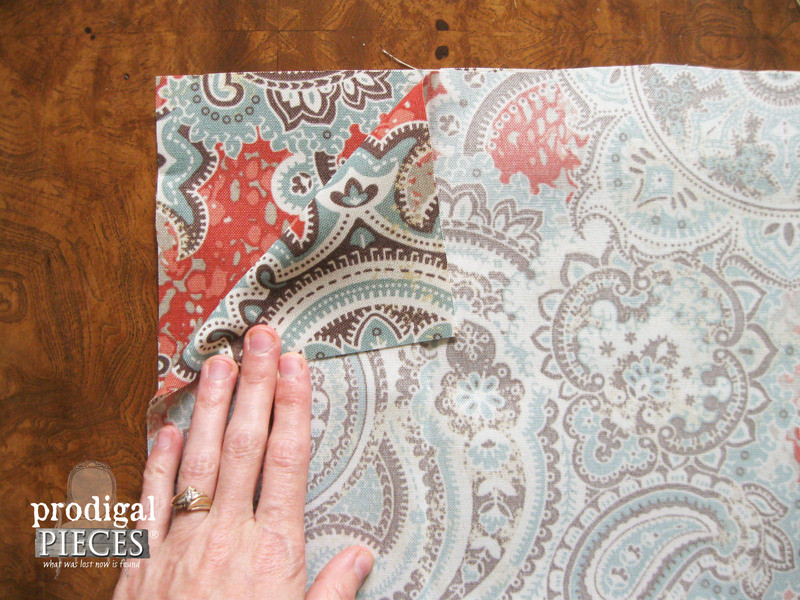 Pin the fabric panels together around the perimeter. To begin sewing you are going to start approximately 2″ in from the right top corner, and end 2″ in from the top left corner. 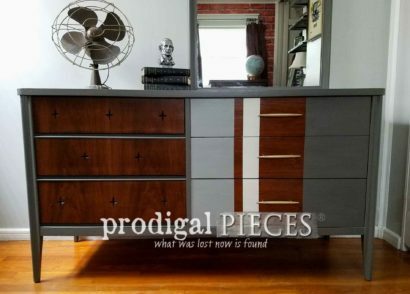 This will leave an opening that you can turn the pillowcase right-side out and also be able to fit the thrifted pillow in. 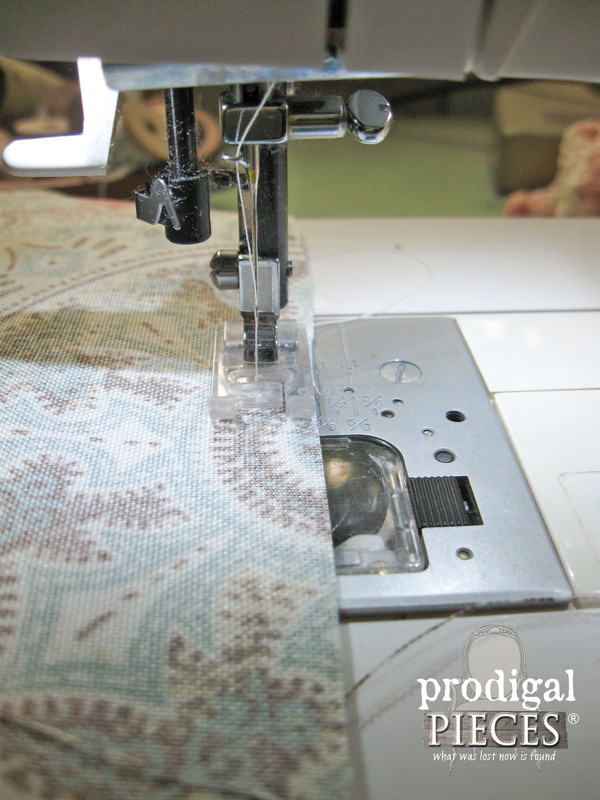 Set your sewing machine presser foot at the edge of the fabric. This will give you the half-inch seam allowance we are after. 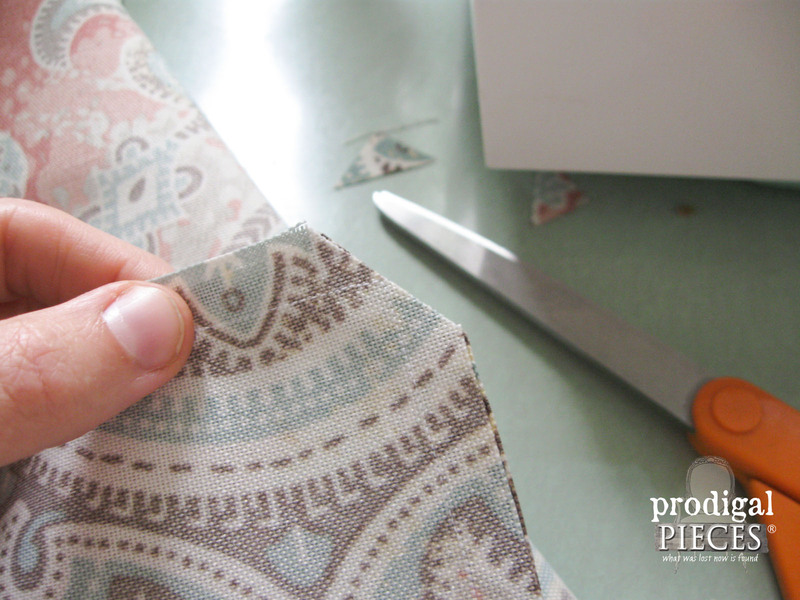 Using a basic straight stitch, back-stitch to start, then sew around the pillow squares, removing pins as you go. Make sure to back-stitch again when you reach your stopping point. The back-stitching reinforces your opening to allow the pillow to easily pass through. 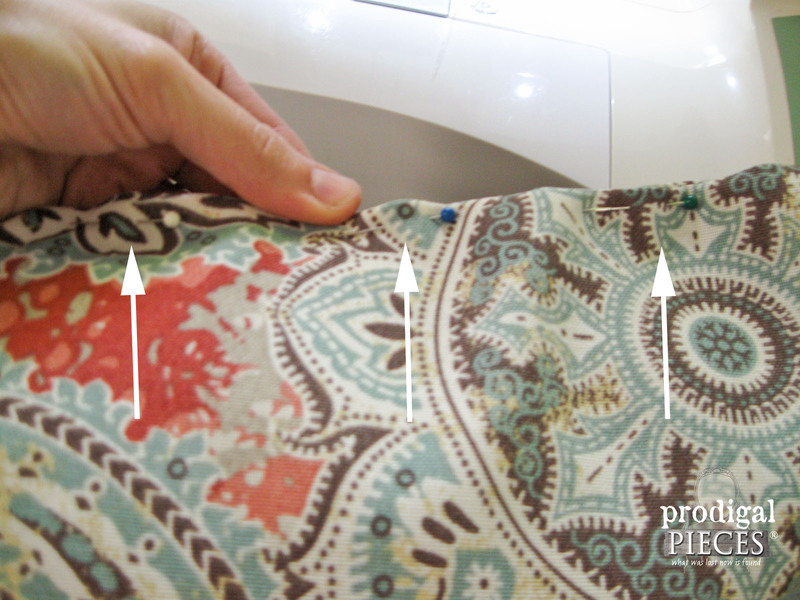 When you are done sewing, snip the corners as shown below. 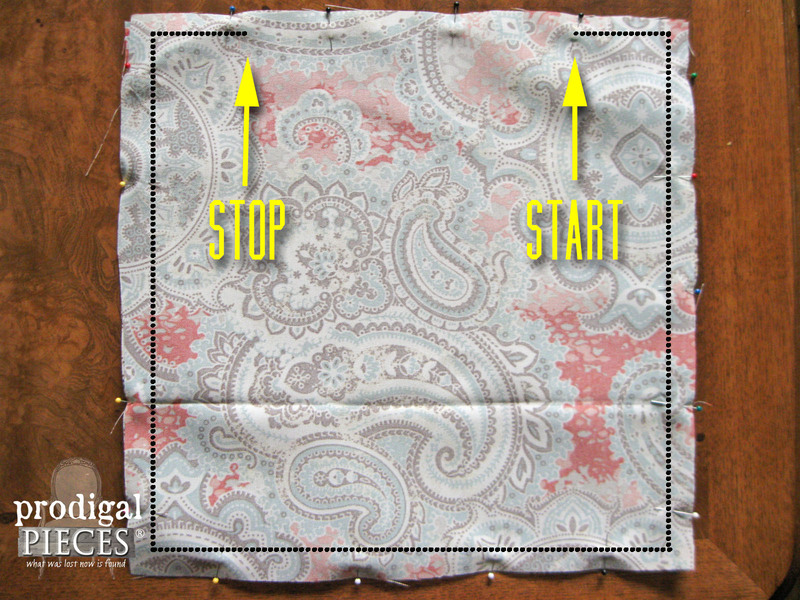 This will help make your corners nice and square when you turn the pillowcase right-side out. Turn your pillowcase right-side out. Using a blunt object, push the corners out from inside. Insert your thrifted pillow. 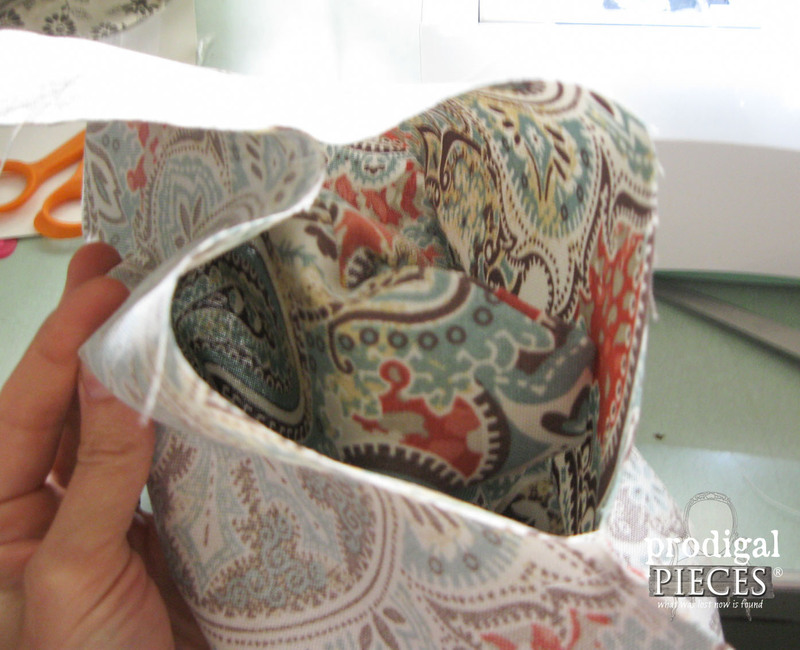 Pin the opening shut by folding the seam allowance into the opening and adding pins to hold it in place. 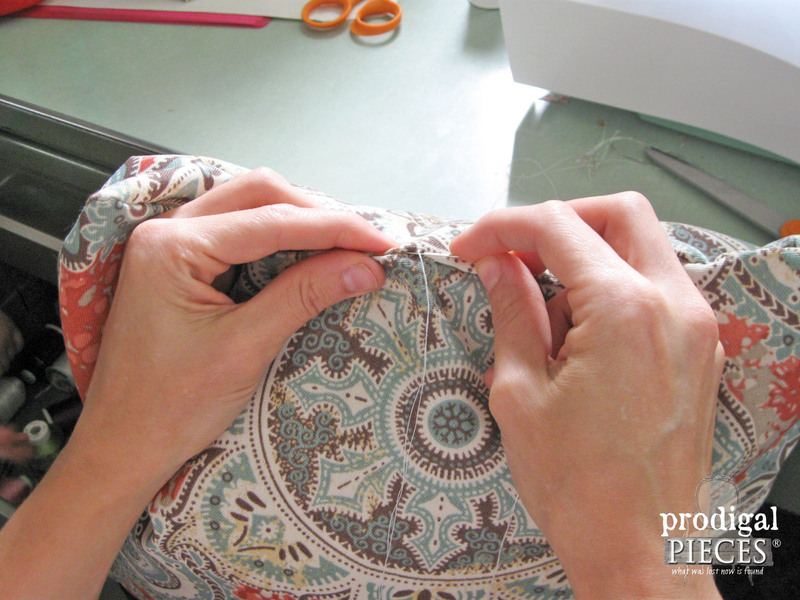 Lastly, using a hand-sewing needle and thread, use a blind ladder stitch to sew the opening closed. You’re done! 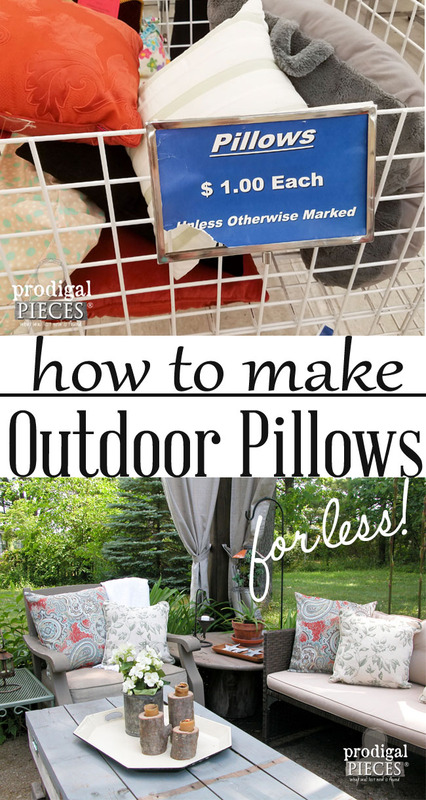 Now you have an awesome set of DIY outdoor pillows that are sure to please, and money in your pocket from being thrifty. Once you get the hang of it, you can add welting, ruffles, etc. Feel free to mix it up and make them reversible with each side made of a different coordinating fabric. The possibilities really are endless. 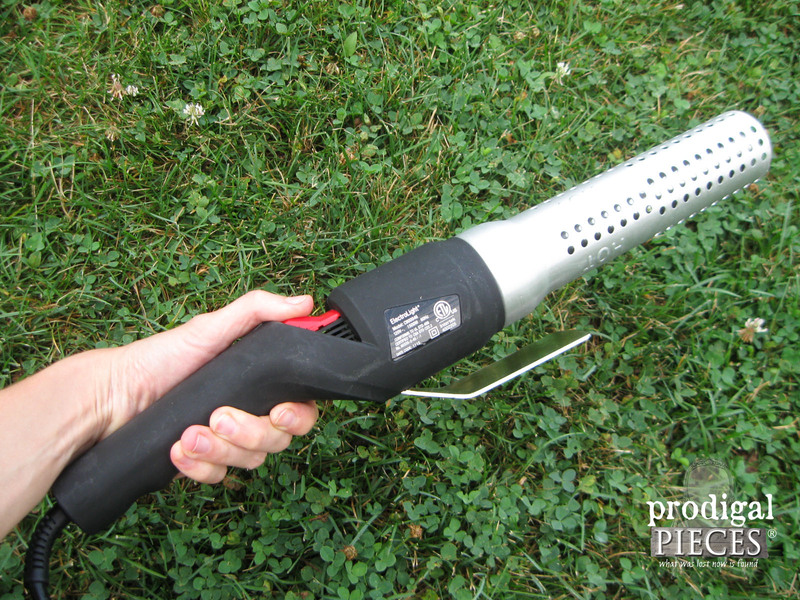 For even more outdoor goodness, I have a sweet treat for you with the recipe of the month, and I’ll show you how it’s done by using this tool. Any guesses? Come on over and see! Love what you create and share! Just as a quick aside to Larissa’s lovely idea – if you aren’t too picky on colors, etc. Walmart had some beautiful turquoise ones, plain and patterened, some with birds, and some other colors or $5.00 each! I couldn’t believe it and snatched up 6 for me outdoor table and chairs set! Looks pretty! Sorry – “patterned”, “for” not “or” and “my” not me….. It’s a messy post – keyboard is acting strangely! Well done Larissa! I can’t see spending money on pillows that will be out of style in a year. 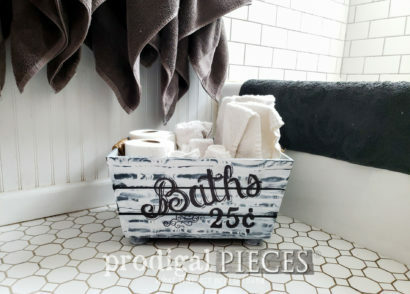 This way you are being friendly to the environment by upcycling old ones and you save lots of money! A win-win! 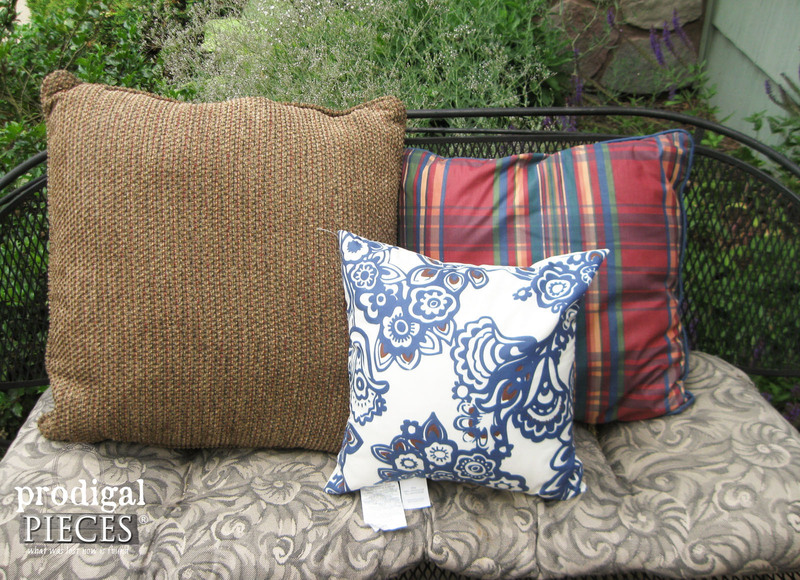 I just looked at pretty outdoor pillows $20-$100.each! 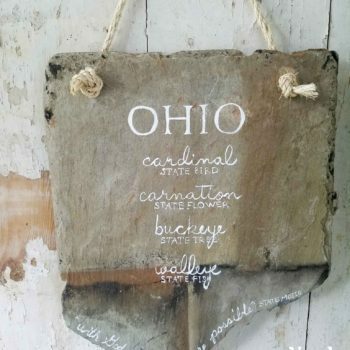 I was shocked and went home empty handed.I will make my own.Great tutorial. 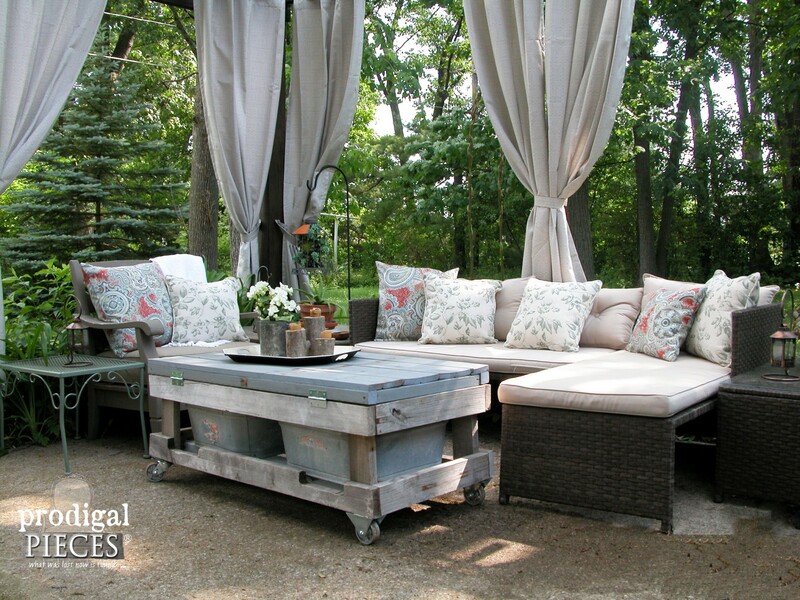 Do you have a tutorial on the pergola you all built?We want to tackle one for the summer.Thank you. Hi Cheryl. I really don’t have one. We just built it according to our needs and used some similar tutorials online as guides. 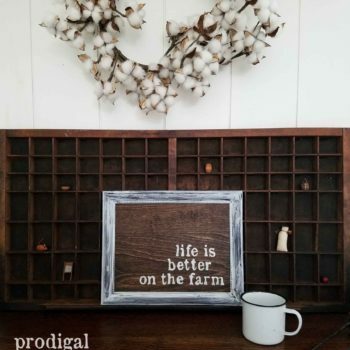 I have a pin board on Pinterest that has some of the tips HERE. Hope that helps! Look at those pillows! You know i like the fabric. Can I leave these pillows out in the rain? It’s getting annoying to bring in my cushions each time it might rain! Help! 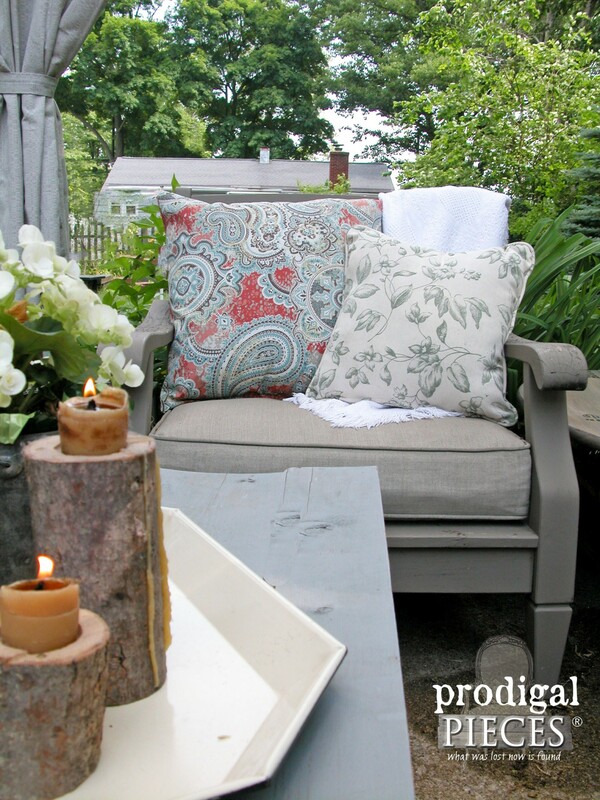 As long as you use outdoor fabric with a pillow filled with a poly material, not feather or cotton.